Founded in 1985, the Law Offices of George W. Nowell is a San Francisco-based, Martindale-Hubbell AV Rated™ law firm serving insurance, commercial and individual client interests in all California Courts in the areas of Maritime/Admiralty Law, Insurance Coverage and Defense, Subrogation, Personal Injury Defense, Government Torts, Transportation and Civil Litigation. 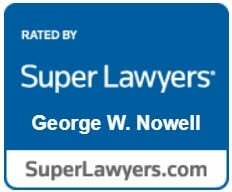 The Firm is regularly included in Super Lawyers lists and U.S. News & World Report - Best Lawyers "Best Firm" rankings in the area of Admiralty & Maritime Law. 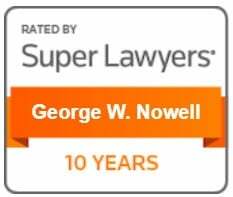 For 2013, George Nowell was recognized as Best Lawyers' San Francisco Admiralty & Maritime Law "Lawyer of the Year". The firm is committed to providing its clients with the highest quality legal services with a clear focus on the economics of a case. 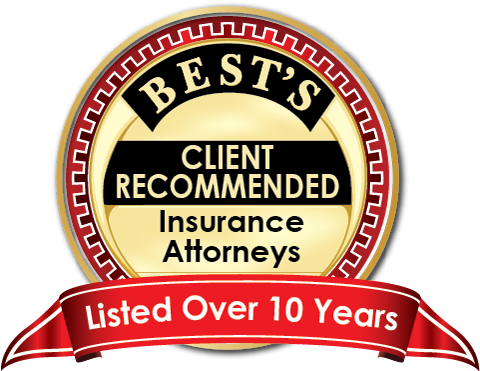 We pride ourselves in aggressively and efficiently pursuing resolution of claims through trial if necessary, but with greater emphasis on careful investigation and development of the necessary facts and legal arguments to obtain a favorable settlement at the earliest time in favor of our clients. In appropriate cases, the firm emphasizes resolution over litigation through the use of Alternative Dispute Resolution (ADR) procedures to meet the individual goals of our clients. The firm’s attorneys are experienced in Civil Litigation including Mediation, Arbitration, Trial and Appellate Practice in both State and Federal Courts. The firm is also experienced in representing clients in governmental administrative proceedings. Cross Link, Inc. dba Westar Marine Services v Salt River Construction Corporation, 2017 AMC 1706 (ND CA 2017) (enforcement of arbitration award, maritime contract and procedure). In re Taurus Marine, Inc. v Marin County, et al, 2012 AMC 317 (ND CA 2012) (allision, construction, jurisdiction, federal/state settlement procedures, indemnity and contribution, damages and towing). Jerico Products v California Dept. of Transportation, 2009 U.S. Dist. LEXIS 98501, 2009 AMC 2032 (ND CA 2009) (allision, measure of damages, towing). Lloyd Victor Ramirez v Matt Butler, et al, 2007 AMC 553 (California Superior Court, County of Marin 2007) (maritime and state law liens, small boat/marina, contracts, storage and conversion, remedies, discovery). Edlin v. M/V TRUTHSEEKER, 69 F.3d 392; 1995 U.S. App. LEXIS 31115; 32 Fed. R. Serv. 3d (Callaghan) 1049; 95 Cal. Daily Op. Service 8528 (9th Cir. 1995) (Denial of appellate expenses was proper from a summary judgment grant in proceeding in rem, ordering mortgage foreclosure on vessel of promisors to pay off note to promisee where recovery was limited to supersede as bond). See also, 1990 AMC 2388 (ND CA 1990) (for the lower court decision). Comerica Bank-California v. The Vessel COMPERE, 2002 U.S. Dist. LEXIS 1177 (ND CA 2002) (in rem action for the arrest and sale of vessel). Sanko Steamship Co. v United States, 2002 U.S. Dist. LEXIS 14936 (ND CA 2002) (government immunity under the discretionary function exception to the Federal Tort Claims Act for the sounding of shipping channel). Kelso Enterprises v M/V WISIDA FROST, 8 F. Supp. 2d 1197; 1998 U.S. Dist. LEXIS 15929; 1998 AMC 1351 (CD CA 1998) (deviation, enforcement of foreign forum selection clause in England). Rothmann v S/S PRESIDENT TAFT, 1994 U.S. Dist. LEXIS 21391; 1995 AMC 1250 (ND CA 1994) (application of the Seaman's Wage Act to vessel master). Juanita Favaloro, et al, v. S/S GOLDEN GATE, et al, 1988 AMC 818 (ND CA 1987) (collision, Death on the High Seas Act, stay and injunctive relief (threat of criminal action)). RPC Industries v CGM LORRAINE et al, 1988 AMC 1999 (ND CA 1988) (packaging and handling, settlement procedures). Igudesman v Aircargo Handling Services, 1995 U.S. Dist. LEXIS 1589 (ND CA 1995) (Air Cargo: application of the Warsaw Convention to cargo lost outside the boundaries of an international airport). American Tel. & Tel. v. Con-Way S. Express, 1996 U.S. Dist. LEXIS 544 (ND CA 1996)(Truck cargo: liability of truck carrier for non-delivery of cargo under the Carmack Amendment to the Interstate Commerce Act). Matt Butler v Clarendon America Insurance Co., 2007 AMC 1620 (ND CA 2007) (Insurance coverage: conversion, marina). Home Insurance Co. v. Siefert, 1998 U.S. App. LEXIS 22368 (9th Cir. 1998) (Insurance: equitable contribution in subrogation action by sublessee's insurer against lessor).